I can find where to change the incorporation date, but I can't find anywhere to change the corporation start date. How could I do this? Under the Business Info tab select the About Your Business sub-tab. Then scroll down and see what you have tor "Date business Began"
There's three times in that section. Date You Incorporated - Must be on or after the date business started. Date of S Election - Must be on or before date business Incorporated, and on or after date business started. Date Business Started - Must be on or before both dates above. All three dates above can be the same. In your case, if your business started on or before 12/31/2016, then expenses incurred on 12/31/2016 are not startup expenses. Your startup expenses must be incurred *before* the "Date Business Started" date. If not clear, then give me a screenshot of the "About your Business" screen, making sure to blank out any personally identifiable information, and making sure you blank out the business name. Hi, Carl. Thanks so much for your response. I unfortunately only see one date in that section. Please see below. (What's cut off above is business activity code and info that would identify our business.) Any thoughts on how I could access the version of the "About Your Business" menu that you're seeing? Well, you' re saying you incorporated on 6/26/2015 which means your business was open on or before that date. Therefore, it's not possible to have startup expenses after that date. You state your startup expenses occurred on 12/31/2016 which is *after* the business started. Not correct. Startup expenses can only be incurred as such, *before* the business start date. So change your date incurred for the startup expenses, to a date prior to 6/26/2015. Is this an S-Corp? Also, was this business classified as something else prior, such as an LLC maybe, and you incorporated it later to an S-Corp? If so, was it a single member LLC or multi-member LLC? - On what date did the business originally open? I'm not asking on what date the S-Corp opened. I'm asking on what date the *business* originally opened, regardless of what type of business it was classified as. Hi, Carl. My understanding regarding startup expenses after incorporation differs from what you've said. Many businesses incorporate before they "starts to function as a going concern", as this webpage puts it under "For Tax Purposes, When Does My New Business Begin?". Incorporation is often necessary before starting to function as planned, so it seems like it would be a highly common case for a company to have startup costs after incorporation. I appreciate your help. It appears to me that your version of the software has a different interface or something in my settings of or company profile hides the startup date in the interface. If you know something about that, it'd be helpful for you to share it. One big thing, is that you didn't answer my questions above. It matters, as it affects what you see on your screen. I'm making assumptions that I think are wrong, because we're not seeing the same things on the "About your Business" screen. I'll repost them here, hopefully with more clarity. - When did the business start? I don't care if it started as a sole proprietorship, single member LLC, or something else. When did you start this business? - What was this business when you originally started it? A single member LLC? Multi-member LLC? Sole Proprietorship? Partnership? S-Corp? C-Corp? GIve me a synopsis starting from the first day you decided "I going to start a business for the first time in my life, and do this to make money"
I am having a problem with "step-by-step" changes not saving properly and have resorted to "forms" view to input data. I don't know if your interpretation of "start-up"expenses is correct, but can't you just go to "forms" and override the data? Yes you can. But understand that by doing so, in most cases (not all) you will invalidate the TurboTax 100% Accuracy Guarantee. Startup expenses are those expenses incurred before the business is running and open for business. Startup expenses can occur over more than one tax year. But those expenses are not claimed and can not be claimed until the first tax year the business is actually open for business. I am also confused by this. We formed an LLC, requested S Corp treatment as of the date of formation, and then began to incur start up costs. The business is not yet "operating." THen you'll be filing an 1120-S Corporate tax return. Being that you freely admit that you are confused, I can not stress this enough on the tax front. GET PROFESSIONAL HELP NOW!. 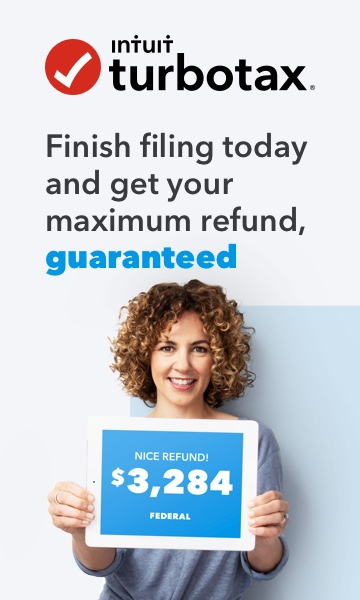 When you screw things up with a corporate return, the fines and penalties are considerably more expensive than they are for a personal return. Chances are high that the files and penalties WILL bankrupt your business before it even gets off the ground, and it makes the cost of professional help seem like a pittance in comparison. So avoid the "I coulda had a V-8" moment and get professional help immediately. If you need further convincing of your need for professional help, if your state taxes personal income, then you can double the already high fines/penalties.